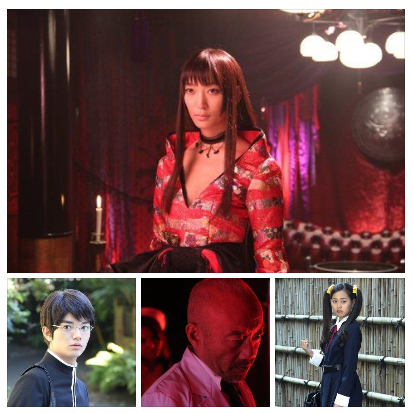 A month away from its premiere, Comic Natalie published 11 new stills from the upcoming live action adaptation of XXXHOLiC. You can check them all here. According to the article, Naoto Takenaka will play the role of Ayakashi in the form of a doctor (and not Haruka Doumeki as I suggested). New subscribers of the WOWOW channel will enter a chance to win original goods featuring an illustration drawn by CLAMP such as clearfiles, mousepads and postcards. Aaaaaaaaaaaaaaaaaaaa!!!!! It looks so shiny!!!!!!!!!!! Yuuko’s black dress looks awesome! And I’m warming up to the guy who plays Doumeki!